At the beginning of February 2019, Pathways opened a brand new emergency shelter program, Stepping Stones, in unused space of Pathways' downtown building. 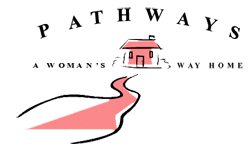 Stepping Stones has the capacity to house 16 women and children nightly in a residential environment; it will provide approximately 5,500 bed nights, 16,000 meals, and 550 case management hours annually. Stepping Stones provides homeless women and women with children with shelter for up to nine months while offering supportive services designed to assist them in achieving permanent housing and economic stability. Basic needs such as food, clothing, personal care items, and diapers are provided. Time-specific goals, related to achieving housing stability, are established by guests with assistance from the program social worker. Guests meet with their social worker weekly for assistance in obtaining established goals and accessing referrals as appropriate.  Pathways works with the local rapid rehousing programs and housing voucher assistance programs to help guests access permanent housing when appropriate. Guests have access to the life skill, employment readiness, and financial literacy classes provided through the Day Center, as well as have classes based on their needs for independent living skills. The opening of Stepping Stones was made possible by support from the Community Foundation of Greater Birmingham and EBSCO Community Impact.